Last week, we talked about 11 reasons to self-publish your book. My mom told me self-publishing causes blindness. I just had to post that because it made me laugh so hard. Well played, Mr. Plumber, sir! To become a publisher, the writer must buy publishing numbers called ISBN or International Standard book Number from the sole source provider: Bowker. Without buying that number or those numbers, someone else is the publisher and has control over the author’s literary work. I wanted to talk about what this means and several early decisions involved in self-publishing. When I realized that I had enough material for a book and seriously wanted to pursue publishing it, there were several things I needed to figure out first. The two that stood out most to me were 1) What do I need to do to be the publisher? and 2) Do I want to incorporate as a small business? Do you want to be the publisher? What I learned was that if you want to be the publisher of record, as skywriter mentioned, you need to buy an ISBN number from Bowker. What this means is that you or your company will show up as the publisher both in the book and on sites like Amazon. If you buy from CreateSpace or another POD company, you are not the publisher. CreateSpace will be listed as the publisher. CreateSpace will also be listed as the publisher in Books in Print. All orders and inquiries will go through the publisher. An ISBN is a unique number for books. If you want to sell your book online or in bookstores you will need an ISBN. I knew I wanted an ISBN. What I was confused about was whether to buy it from a company like CreateSpace or whether to buy it from Bowker, the company that sells ISBN numbers at myidentifiers.com. Why do you want to be the publisher? What if a book club discovers your book, loves it, and wants to adopt it for an alternate selection? The club will contact your Internet publisher who can’t handle the deep discounts needed and thus has no financial stake in such a transaction. What do you think will happen? Zip. Zero. Nada. 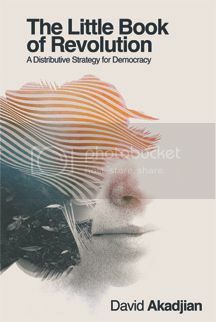 Suppose a corporation is interested in purchasing one thousand copies of your book, contacts the Internet publisher but you never hear about it. What if a distributor wants to take it on but finds the economics aren’t feasible? Tough luck. Any of these scenarios can cost you thousands of dollars. Now these scenarios may be unlikely, but I still remember stories about musicians getting ripped off for not owning the rights to their work. I wanted to be the publisher. As the publisher, you can also move your book to a different printer if you want to. If the book is successful, you might want to print an offset run, for example. The other point that Sue mentions is that having the POD printer listed as the publisher may look like you are publishing through a vanity press. There are only two disadvantages I could find to purchasing your own ISBN: price and ease. If you’re printing through CreateSpace, it’s easier to simply let CreateSpace provide your ISBN. It is also less expensive than purchasing a single ISBN from Bowker. 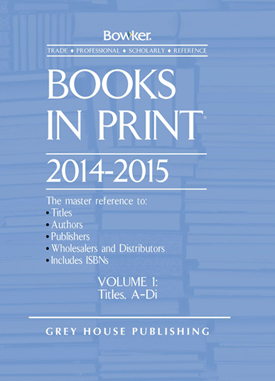 Bowker charges $125 for 1 ISBN, $295 for 10 ISBNs, and $575 for 100 ISBNs. At the 100 level, they are $5.75 apiece. The issue is that you will probably never use 100. The problem is you can’t sell them to another publisher. This is one of the ways they get you. You could publish other people’s books under your publishing company. This is what POD companies like CreateSpace do. But you can’t sell them to other publishers. Ingram Spark doesn’t sell ISBNs. Long story short, I wanted to be the publisher. I wanted to show up on my book jacket cover as well as in Books in Print as the publisher of record. So I purchased an ISBN number through Bowker at myidentifiers.com. To purchase an ISBN, all you need is your information and company name. If you don’t have an LLC or business, you can use your personal name for your company name. My one regret is that I should have purchased 10. Why? Because I’m already going to have to get another one for an e-book. If you do a softcover version and a hardcover version you need different ISBNs. Also, if I ever do a major revision, I will need one. My recommendation is that if you have any thoughts at all about different editions or future books, you may want to think about getting 10. Here are some additional quick answers to other common answers about ISBNs. Do I need a bar code for my book? If you’re just going to publish an e-book, no, you don’t. If you’re publishing a printed book, you need one if you’re going to sell through bookstores and I would recommend one even if you’re only selling online because it makes the book look more professional. How do I get a bar code? If you visit the Bowker site, you may notice that they also sell bar codes as part of self-publishing packages. Or if you Google “ISBN bar codes,” you’ll also find other sites selling bar codes. From everything I’ve seen, I believe you can get a bar code for free no matter which service you use. With IngramSpark, you don’t need to purchase a bar code. 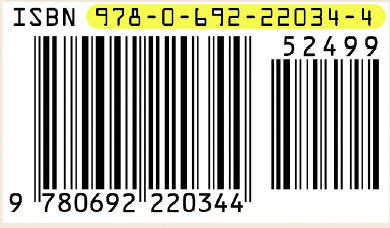 The bar code will be automatically generated by Ingram’s cover template generator. You simply enter your ISBN number, price, and the necessary sizing information. 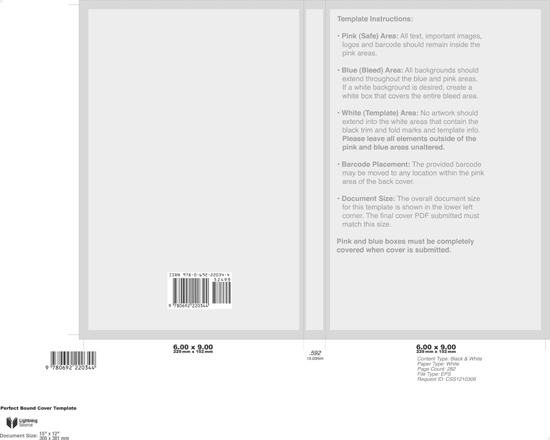 Amazon CreateSpace also has a cover template generator. To the best of my knowledge, however, it does not include the bar code. Several websites, however, offer free bar code generators. Bookow is one and CreativIndieCovers is another. Long story short, no matter which printer you choose, you shouldn’t need to purchase a bar code. Use one of the free generators. If you feel more comfortable spending a few dollars, it’s relatively inexpensive. What you will receive is a graphics file that you need to include in your cover design. Do I need to incorporate? This was another big question. If you’re simply going to publish your own works, I don’t believe there is much advantage to incorporating. However, and here, I took the advice of Helen Sedwick who wrote the Self-Publisher’s Legal Handbook: treat your writing like a business. If you treat your writing like a business and not like a hobby, you can not only deduct business expenses but you can also potentially deduct losses against any other income you have. U.S. tax code encourages new businesses by permitting entrepreneurs to offset losses from one business from other income as long as the owner has a serious intent to operate the business at a profit. Towards this end, I decided to incorporate as an LLC. In the state of Ohio, this cost $125 and the paperwork was online at the Secretary of State’s office. Again, this isn’t necessary because you can run a business as a sole proprietor without an LLC, but I decided I wanted to learn about it. What I would say is necessary is getting an Employer Identification Number (EIN) and a separate business checking account. An EIN and a separate business checking account will allow you to track your expenses and income. The other thing it allows you to do is to keep your business and personal expenses separate. In this manner, you treat your writing seriously like a business and you can also deduct losses against other income if you are seriously trying to market and make money off of your book. What were some of your early decisions? This covers a few of the major early decisions involved in self-publishing that you want to be thinking about in addition to all of the details involved in writing the book. My lessons learned included: 1) buy an ISBN if you want to be the publisher of record, 2) you don’t need to spend money on bar codes, and 3) treat your writing like a business even if you don’t incorporate. What were your experiences? Any lessons learned, questions, or things you’re thinking about? Series Note: The next two Thursdays are Christmas and New Year’s respectively. I will be spending time with my family and will pick up again after New Year’s. Happy holidays and see you in the new year!